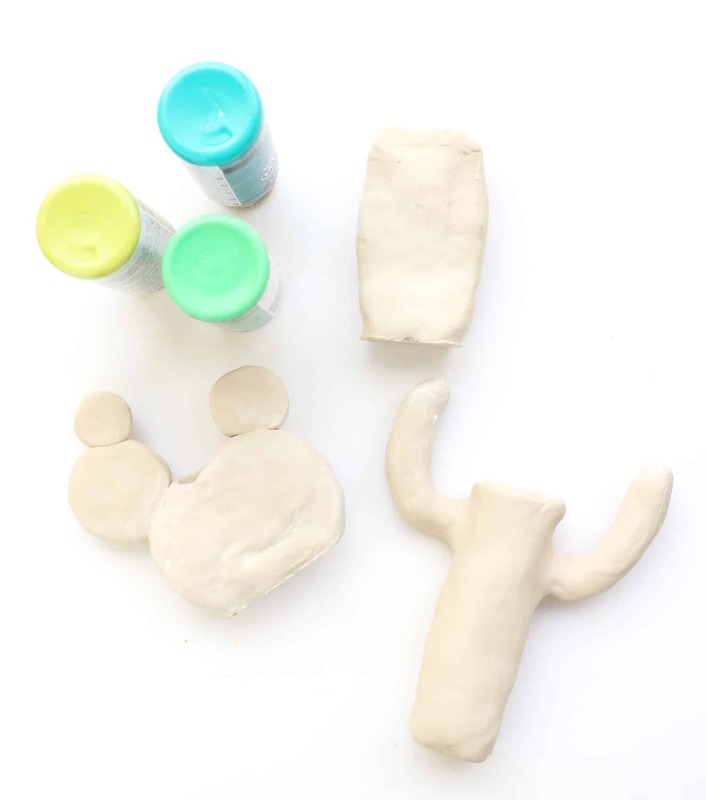 Step One: Grab a large piece of clay and begin to mold it into cactus shapes. 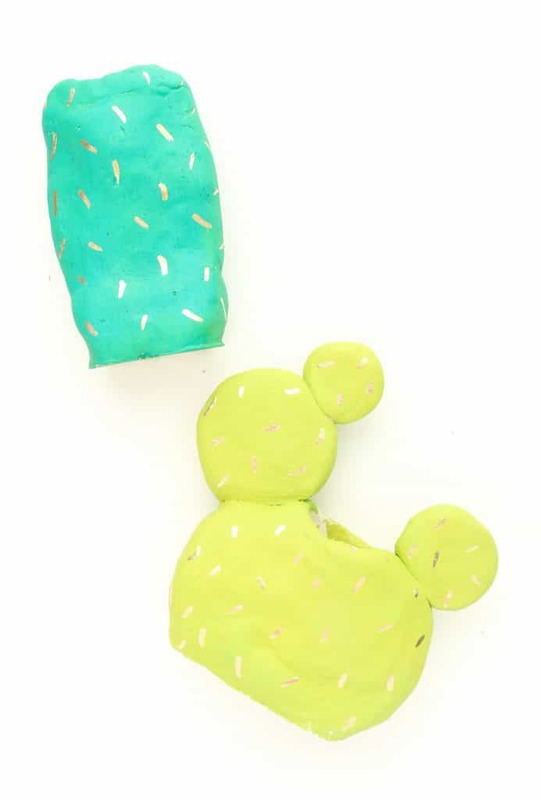 Once you have a rough outline of your cactus, dip your finger in a bit of water and use it to smooth out the clay and join the pieces together. 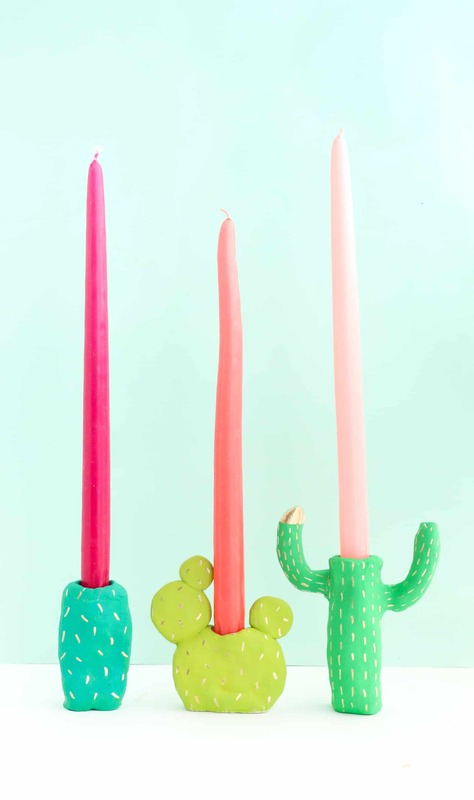 Step Two: Use a pencil to create a hole in the top of the cactus for the candle. 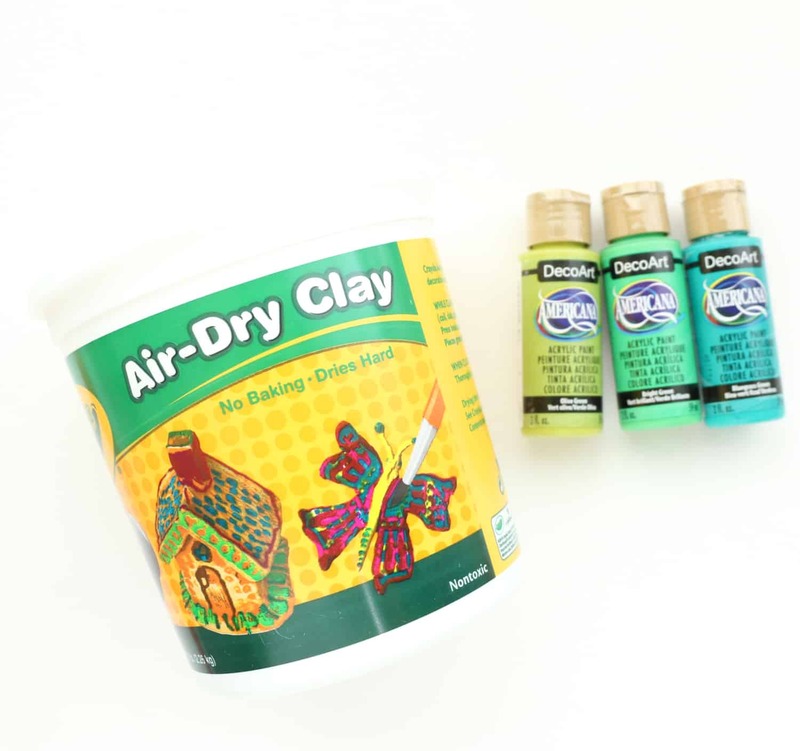 I just inserted the pencil tip and moved it around in a circle stretching the clay until the hole was approximately 3/4″ in diameter and 1.5″ deep. Once you have your hole, sit your clay aside and let dry for two days. 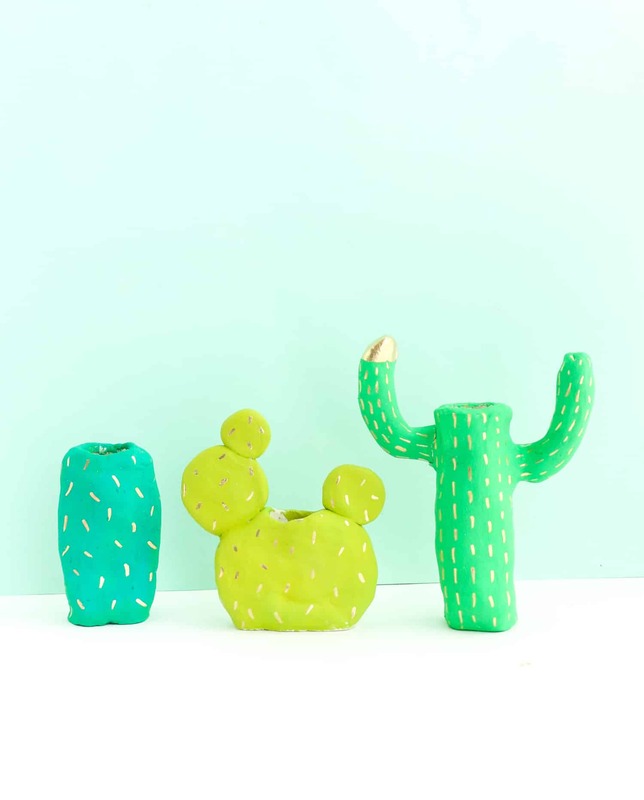 Step Three: Paint your cacti with the green acrylic craft paint and let dry. Then use the gold paint pen to add the spines. Credits // Author and Photography: Kara Whitten. Photos edited with the NEW A Beautiful Mess Presets for Lightroom. I’ve been wanted to play with clay for a long time. Haven’t done that since I was really young, and this would be a productive use of my time while messing around, hehe! The gold specks really make them sparkle! Going to make these to display on my bookcase, the colors are perfect for spring. Hello! 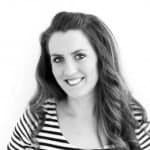 I know the blog was redesigned recently and you’re still making some tweaks. I’m confused about how the “view older posts” button on the main page takes me to a page where all of those front page posts are just fully expanded, so I must scroll through those before possibly viewing something that was not on the first page of the new stuff. So, it takes a bit longer to actually see the older posts. Maybe the “view older posts” button should go a page where there are only older posts, falling behind the newer ones on page 1. Everything else looks beautiful, and I love that you make updates and changes as time goes on! I just noticed this too! O-M-G YESSS! These are so cute! Definitely going to do this! And so easy! Love it! ??? What a great idea…and it’s so simple! (I’m secretly still into the cacti trend haha). They’re very cute! In order to make them a bit more safe, you could either give them an attacked mini-plate or let them expand towards the lower part so that they don’t lose their balance. They are so cute, I totally love them! LOVE this DIY. I really want to make this for my guest room. But can you guys tell me how this will be maintained when the candle is burned? How to handle the wax dripping? Is this for one time use? 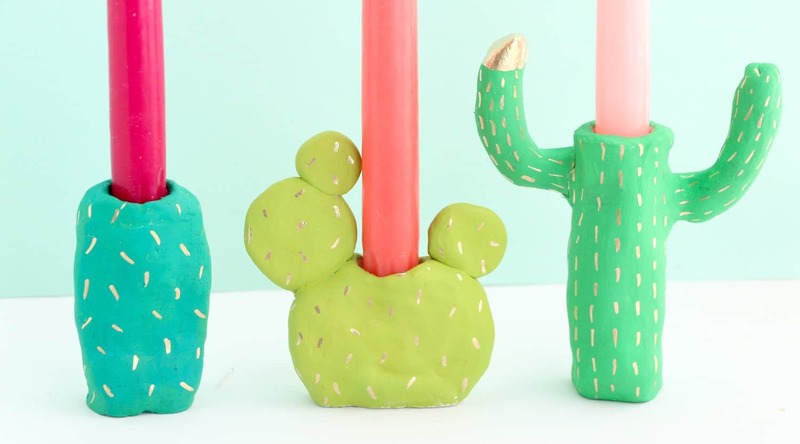 You can actually find dripless taper candles and don’t have wax that drips down the sides. I would definitely recommend getting a few of those to use with these holders. If you do use the wax dripping taper candles, you may just need to freshen up the paint afterwards.